The RHR development team has pushed a number of code changes to the production servers. The majority of the changes will not be noticeable to users and are designed to improve performance and reliability of the service. However, there will be two changes to the console that will be new for users. This change will effect both RemoteRig users as well as WebDX users. The PremiumDX and RemoteDX stations are now combined into one “unified console” display. The `top row of stations are the PremiumDX stations` and the `bottom row are RemoteDX stations`. As a `RemoteDX subscriber` you will be able to access the “GREEN” stations on the `bottom row`. You will notice the `PremiumDX stations to be “GREYED” out`. 2. 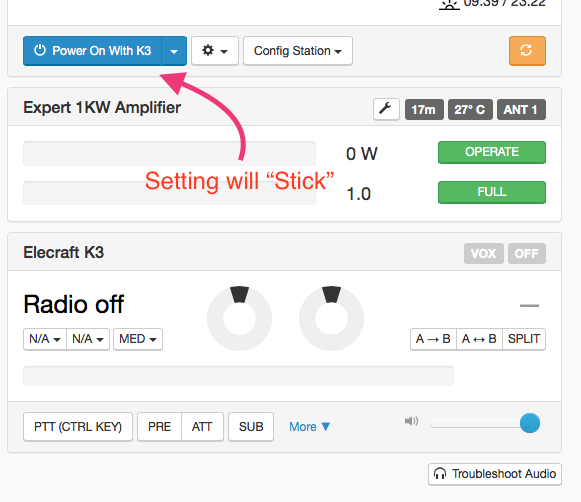 New method for powering on the radio. The first noticeable item will be the removal of the green “power on button”. The second noticeable item will the “Config RRC” button has been replaced with a multifunction power button. This “multifunction” power button has three options. Power On This option operates the exact same way as the previous “power on” button”. When this button is pressed you will be asked for permission to access your microphone when using WebDX. This option is the same as above but you will NOT be asked for permission to access your microphone. 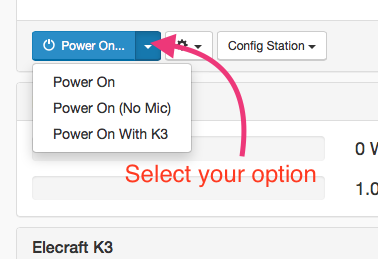 This option will only be used for operators who only use CW with WebDX and do not have a microphone connected to their computers. This option replaced the original “Config RRC” button. 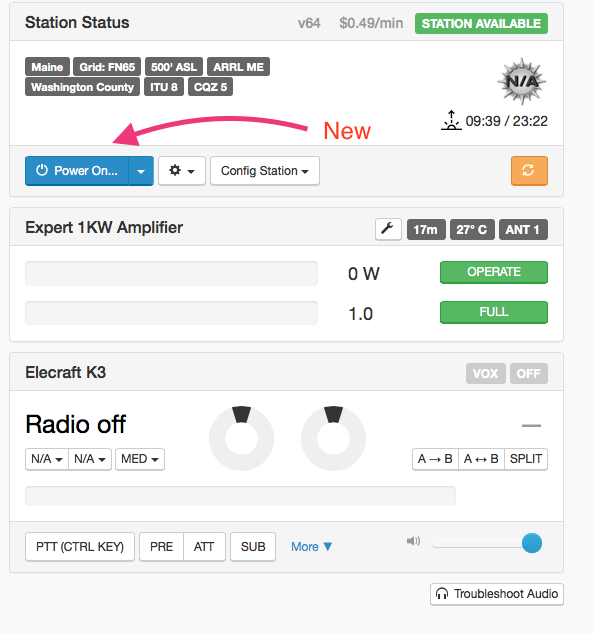 Users with a K3 + RRC will use this option to connect to sites using the K3 + RRC. Whichever option you choose will be “remembered” the next time you use the console with the same browser. What license is required for RHR?